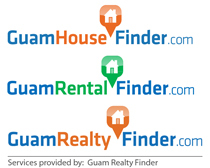 Paradise Estate Guam is one of the most popular residential neighborhoods on Guam. Located in northern Guam, Paradise Estate Guam is only 10 minutes to Andersen Air Force Base making it a popular off base rental for military members. Paradise Estate Guam is one of the the newest housing development located off of Marine Drive (Route 1) at the edge of Dededo. Besides being close to AFB, the housing area is only 10 minutes to Micronesia Mall, and about 45 minutes to Naval Base Marianas. Paradise Estate Guam is located just 10 minutes away from Andersen Air Force base in a residential area tucked away from the busy street. When you arrive at the entrance to Paradise Estate, you will notice the secured gate entry into the housing area. Access into Paradise Estate is restricted to residents and guests of residents only. As an added benefit there are mailboxes at the main entrance to Paradise Estate for all homes in the compound. When you have no entered you will notice that it is paradise. The neighborhood is well laid out with wide roads, and side walks on all streets, so kids can play safely outside. When you enter the doors to Paradise Estate Guam, you will notice the spacious living / dining room connected to a nice modern kitchen. The living room area has ample room to entertain guests, and the outside area is perfect for additional guests. Dependent on the house, some homes in Paradise Estate offers additional outdoor covered living space with some even having an outdoor kitchen. Now when you enter the master bedroom you will notice the huge walk in closet, which should fit most couples needs. For the 4 bedrooms in Paradise Estate an additional junior master bedroom with a shower and bath. 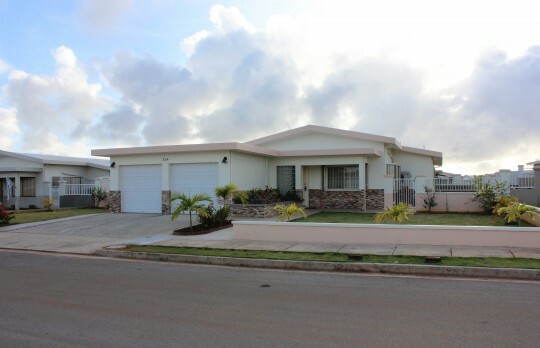 Paradise Estate Guam is a perfect neighborhood for families to enjoy comfortably and safely. Take a look now.